A short story set in Stockholm, by Emma Zetterström. The Swedish Nobel Prize-winning poet Tomas Tranströmer died earlier this year. He is, after Pablo Neruda, the most widely translated poet in the world. For most of his life, Tranströmer spent his summers on the island of Runmarö, in the Stockholm archipelago, in a little house built by his grandfather. The island became not just a haven for the poet, but an inspiration, central to his thinking and his work. John Freeman met Tranströmer in Runmarö last year, and spoke to him about his life and work. The result is a fascinating and moving interview, originally published in Morgenbladet but republished recently on the excellent Literary Hub site. You can read it by clicking on the image below. 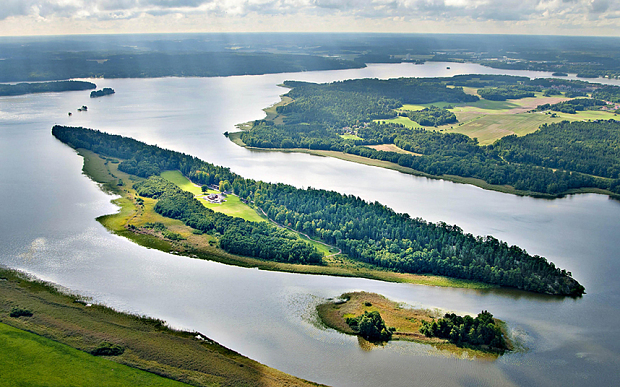 Tiger Woods is selling his private Swedish island, complete with golf course. In Stockholm's modern art museum, a new exhibition explores Scandinavian photography of the late twentieth century.